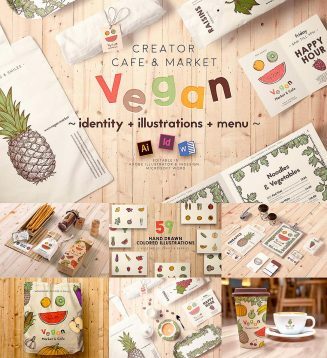 Bundle of templates and illustrations is good for vegan menu design and identity of restaurant, bar or vegan cafe. File format: .ai, .eps, idml, .doc, .png for Photoshop or other software. 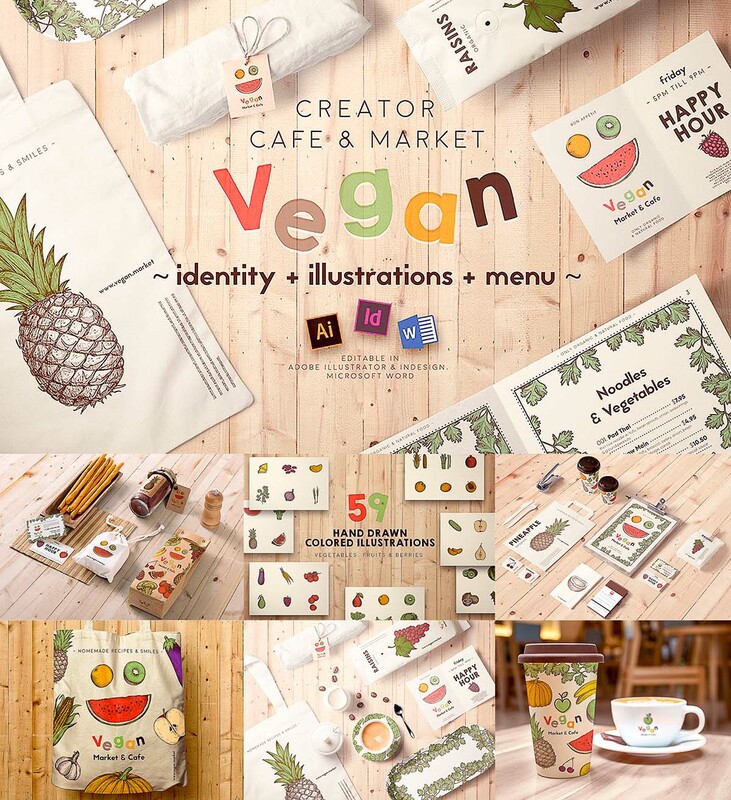 Tags: cafe, creator, fruit, market, menu, restaurant, vegan, vegetables.